Happy New Year friends!! How has your 2015 been so far? As I looked back at 2014 in my recap, I was once again reminded by how awesome you are. I am beyond-words thankful for your support and encouragement! I read every comment and email written with a grateful heart for your kind words. As a way to say THANK YOU, I thought I'd start 2015 with a giveaway! 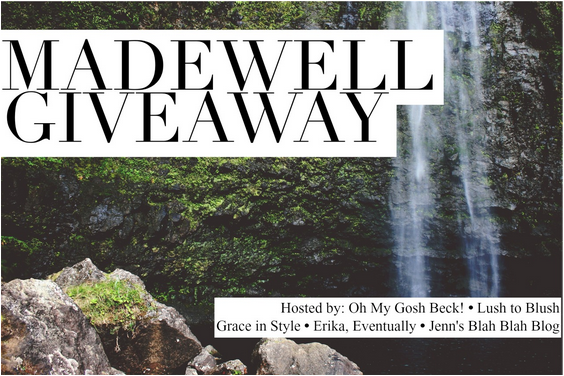 A few blogger friends and I are giving away a $150 MADEWELL GIFT CARD!! I would describe Madewell's style as laid-back chic with an edgy, vintage vibe. Their staples are denims and leather pieces, but they do have a mix of feminine pieces like flowy silk dresses and A-line skirts. Below is one of my favorite looks and links to some of my favorite pieces! Be sure to click through them since some items are on sale with an EXTRA 40% OFF!! What are your favorite pieces? I hope you have a joyous New Year! While some of us may live in continual bliss, life is hard for the most part. So let us continue to love one another in word and action! 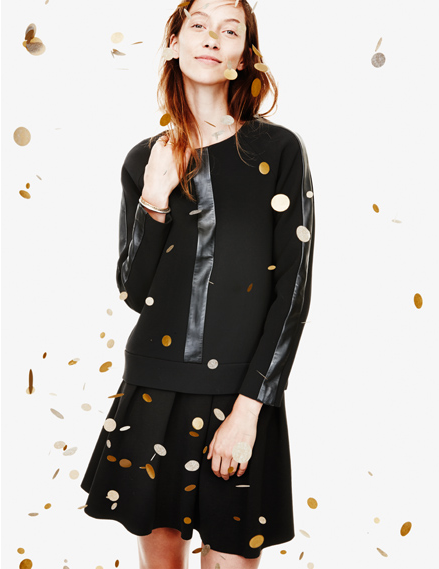 What a great giveaway - love Madewell! Happy New Year! I love your shopping picks. I love shopping for clothes on a website called Poshmark...you can find anything & everything there!! I buy my beauty stuff from Ulta and Clinique! I've been with sheinside.com for a while. The Madewell white cableknit sweaterdress would be so great to have for this time of the year! I love forever 21, zara, guess and Nordstrom. I also shop at Target for clothes and beauty products.